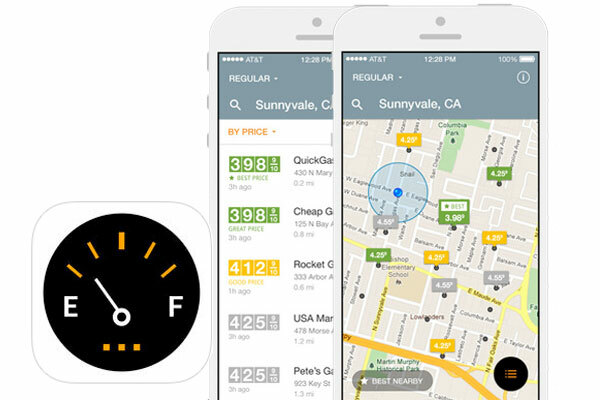 Gas prices rose throughout February and there is still cause for concern, so maybe it's time to fire up an app that looks for bargains for you. NEW YORK (MainStreet) — Car owners nationwide are noticing a disturbing if not unfamiliar trend at the filling station: rising prices. While prices at the pump are still far below the highs of last year, the immediate future does not look promising. So it is probably a good time to dust off your favorite gas price app, probably last used when gas was closer to $4 per gallon, and move it to a more prominent and easily accessible position on your phone. U.S. average gas prices were on a streak into March, increasing 35 days in a row for a total of 39 cents per gallon, which the Automobile Association of America called the longest consecutive streak of rising prices since February 2013. Gas prices are up primarily due to a combination of rising crude oil costs, refinery maintenance and unplanned production problems. As of March 2, AAA's gas price index pegged the nationwide average for a gallon of regular gas at $2.42, up 12 cents from a week earlier and 41 cents from a month earlier — but still $1.02 below where it sat a year earlier. "AAA believes the national average price of gas could rise by 20 cents per gallon or more in March as refinery maintenance season continues. The good news is that prices should remain much less expensive than in recent years even if the price increase [goes on]," AAA spokesman Michael Green says. 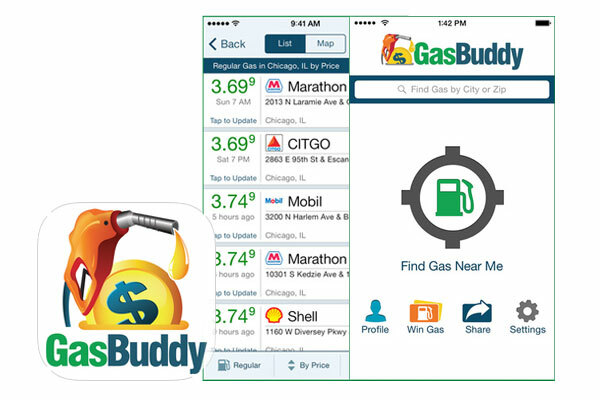 GasBuddy, with its 10 million downloads, is one of the top gas-price apps on GooglePlay or the iTunes Store. The site offers a tailored experience with a social media component, so after installing the app the user has to set up an account and give up some basic information, including an email address, and agree to let the app find the phone via GPS. Searching for a station can be done by inputting a ZIP code or just using the phone's location. When this is done a list of stations and the prices for the various types of fuel offered are listed by either price or distance. The GasBuddy user then has the option of confirming or, if the price is outdated, telling the app the new price. By doing so the user can gain points and win prizes. The person's online handle is displayed next to the current price so everyone knows who helped, and there's a time stamp of when the price was last updated. The station list can be filtered to show cash prices, credit card prices or the type of fuel desired. That way if the user only wants diesel, the app can be set up to only display locations selling it. Gas Guru is somewhat more straightforward and much quicker to set up, requiring only the phone's location to start operating. The map portion does not show the name of the station, only price and location. The station's price is ranked by color, with green being the lowest, yellow a bit higher and gray more expensive. The user has to click on the station icon to get the name and hit the "directions" button to be taken to the location. When the map icon is pressed, the price for all grades of fuel offered is displayed, along with when the price was last updated by the app. Users cannot tell the app the price is incorrect, but there is an option to share a price on Facebook. To navigate quickly to the least expensive station in the area, all one has to do is press the large price icon at the bottom of the display. That highlights the station onscreen, making is easier to see. This station may not be extremely close, but if you are willing to drive several miles to save a few bucks on a fill-up, it could prove worthwhile. Gas Guru also has access to local restaurants, coffee shops and ATMs, and can direct you to roadside assistance. 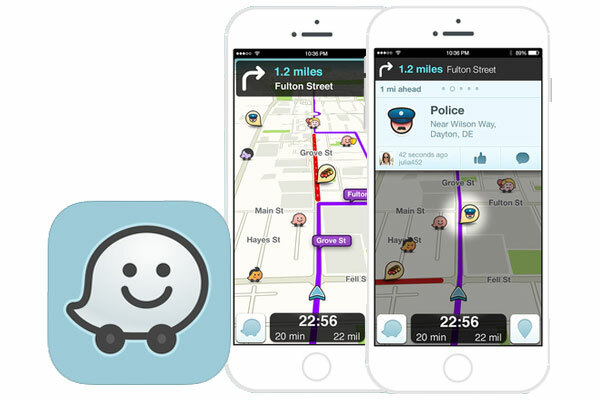 Waze may be better known for its ability to get a driver from Point A to Point B, but it also has a cheap-gas feature that is just two clicks off the primary map screen. Here stations are found and listed by distance from the car's location; with another click the app will add a quick side trip to the station with the lowest-priced gas, then have the navigation system continue along to the final destination. Since Waze is not focused on pricing, there is not that much interaction with the gas price portion of the app, but it does allow the user to check out what other customers have said about the location via Yelp. 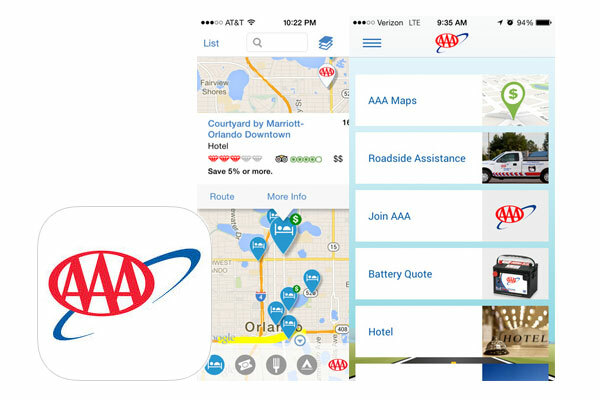 AAA has a gas price service on its AAA Mobile app. While some of the services on the app require a membership, directions and the ability to find a local gas station are free. Unlike the other apps, AAA does not immediately show you the price at the station indicated on the map. Instead the user has to click on the icon, here the price is shown for all the fuels available, along with icons to be routed to the location.